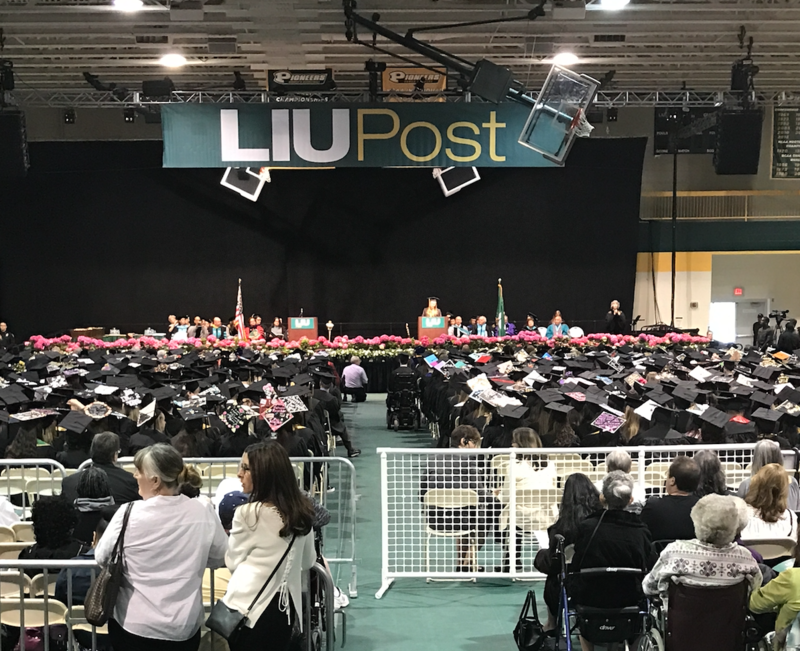 Students from LIU Post, as well as the LIU Brentwood and Riverhead campuses, celebrated their graduations at the 59th Annual Commencement Ceremony held on Friday, May 5. Due to the threat of inclement weather, the ceremony was moved, on Wednesday, May 3, to the campus’ Pratt Recreation Center instead of the large tent that had already been erected on the lawn in front of Humanities Hall. This was the first time that the graduation has been held at Pratt. 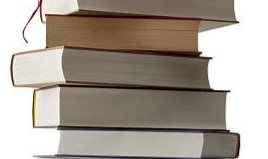 The undergraduate ceremony began at 10 a.m. and the graduate ceremony began at 3 p.m. The graduates included 904 undergraduates, 1095 masters candidates, 174 students receiving advanced certificates, 43 doctoral candidates and 56 students receiving dual bachelor-master degrees. Entrepreneur T. Denny Sanford received an honorary degree and was the keynote speaker. Sanford, during his positive speech to the graduates, asked them to reflect on their years in college and thank their parents. “Think about what these last years have been to you,” he said. Sanford, the chairman of United National Corporation, has been honored as one of America’s top philanthropists by the Chronicle of Philanthropy. 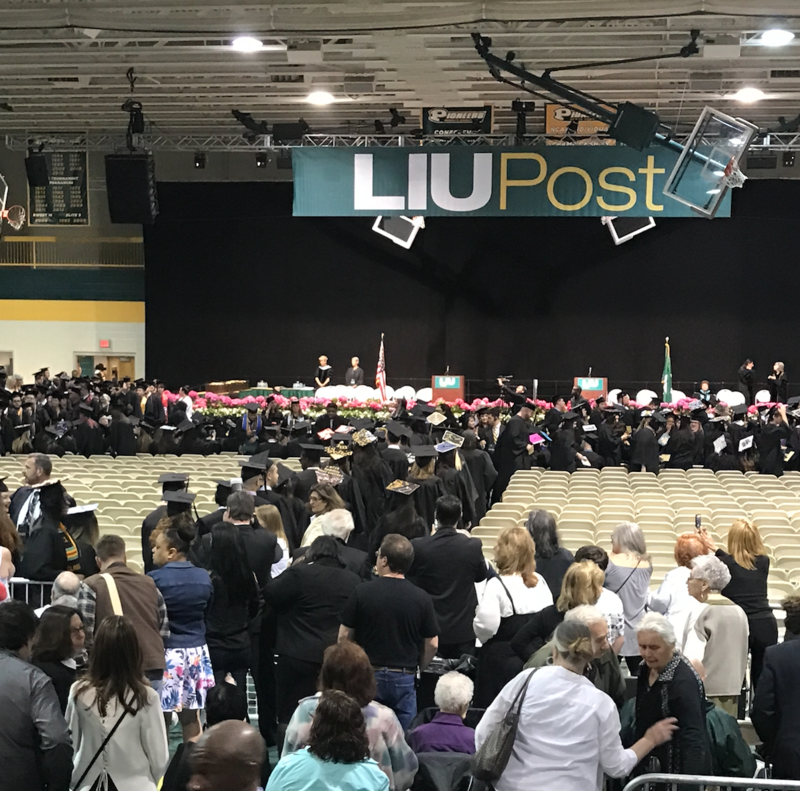 Sanford donated $5 million to LIU Post to launch the LIU T. Denny Sanford Innovation and Entrepreneurship Institute to advance the University’s leadership in entrepreneurial education. U.S. Senator Charles Schumer also made a speech about his experience in college and how this generation is better equipped than any other. 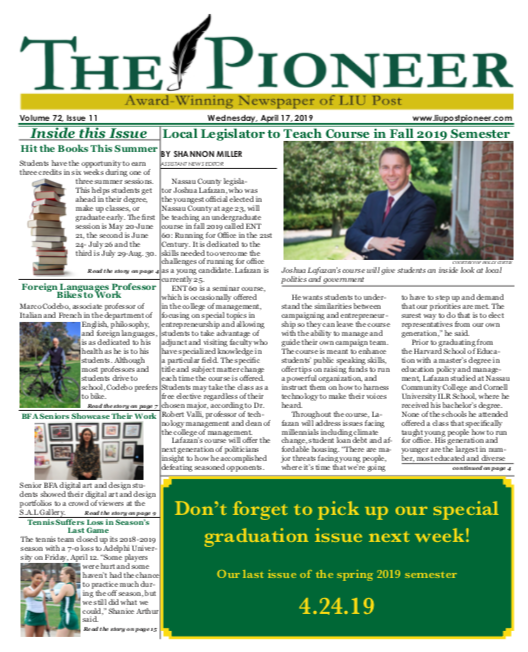 Schumer talked about the graduates’ futures and how their paths are undetermined. “Don’t fear the unknown, embrace it,” Schumer said. As each graduate was called to the stage by name, University President Kimberly Cline conferred the degrees upon the graduates. Congratulations to the 2017 graduates and may your futures always be bright!